Is a waiver worth the paper it’s printed on? It’s that annoying form you have to sign before doing fun things. Fun things that come with a risk of getting hurt. By signing the waiver, you agree not to sue the folks connected with that fun activity. That makes sense, right? It’s your choice to participate in the fun, though risky, activity. Why should you be entitled to sue someone if your choice turns out to be a bad one? Take climbing a tree for example. There is an obvious risk of getting hurt. Branches can break. Footing can be lost. The higher you climb, the further you might fall. Land poorly and you can be hurt really bad. You might break an ankle or leg. Perhaps a wrist or arm. If you land really poorly you could suffer a spinal cord injury. Taken to the extreme: you could be killed. If you choose to climb a tree, misjudge the strength of a branch and fall, why should you be able to sue the person who owns the tree? You shouldn’t. And wouldn’t. With or without a waiver. Why? No-one, besides yourself, caused you to fall. A successful injury lawsuit requires someone else, besides you, to be at fault. How about a much more fun activity: ziplining. It’s exhilarating, sailing over deep, rocky chasms! The thrill comes from the illusion that you are risking your life. But you’re not. Or rather, you shouldn’t be. You are paying big bucks to the ziplining company to keep you safe. They ensure the platforms and zip lines are strong and secure. They get you harnessed up with safe, secure harnesses. They adjust, and test the harnesses for you. You rely on them to safely and securely connect you to the cable so that absolutely nothing could go wrong as you are sailing over that rocky chasm. You still scream with exhilaration, but with complete confidence that you are safe. In fact, you feel safer zip lining than you would climbing a tree. With tree climbing, you could lose your footing, or a branch could break, causing you to fall and hurt yourself. 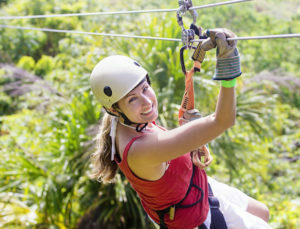 With zip lining, you are relying on the zip line operators to ensure that absolutely nothing could cause you to fall. But with zip lining, you have to sign a waiver. What is the purpose of the waiver? Is it to protect against lawsuits for risks you are freely choosing to take on, like slip, tripping and falling when walking between ziplining platforms? Or a medical risk that you should be sorting out yourself? Just like climbing a tree, there are risks that are, or should be, readily apparent to you. Does the waiver relate to only those risks? Waivers include your right to sue for “negligence.” Negligence is a legal word that, in this context, means a failure to take reasonable steps to keep you safe. It would be negligent, for example, if they pushed you off the platform, to sail across the zipline, before hooking your harness to the zipline. Or failed to supply and secure a harness that would keep you from slipping out to your death. Or pushed you down the zipline without ensuring that the last person had made it to the end, resulting in a violent mid-air collision. These are risks that are entirely within the zipline operator’s control; risks that you are paying them to ensure are handled so that you can enjoy the exhilaration of sailing across a rocky chasm. The waiver says that you can’t sue for those, and other, incidents of negligence. But that’s ridiculous! A waiver like that wouldn’t hold up in court, would it? It would. And it has. Unfortunately, waivers are a defence for the negligent. In the case of Loychuk v. Cougar Mountain Adventures Ltd., 2012 BCCA 122, 41-year-old Deanna Loychuk was sent down a zip-line but didn’t make it to the lower platform. She was just hanging there when 26-year-old Danielle Westgeest was sent down the same zip-line. 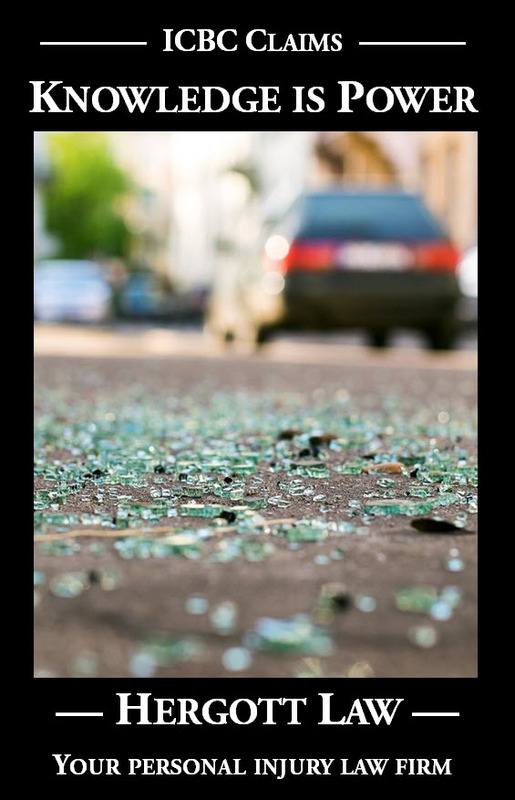 There were serious, permanent injuries when Danielle collided violently with Deanna. Cougar Mountain Adventures Ltd. admitted the obvious, that the injuries were caused by the negligence of their employees. One of their most basic job duties was to ensure the zip line was clear of the last person, before sending the next person down. So they used the waiver to defend the case. And they won. The decision was appealed. They won again in British Columbia’s highest court. It was a horrible result, but the right legal decision. Judges apply the law. The law required them to enforce the terms of the waiver. The court referred to an October, 1994, report of the Law Reform Commission of British Columbia that recommended a change in the law, i.e. “the enactment of legislation to preclude commercial recreational operators from excluding or limiting liability for personal injury or death from a number of sources of risk, including the unsafe operation of mechanical equipment or recreational apparatus by the operator’s employees”. Unfortunately for the two victims in the lawsuit, British Columbia had not enacted such legislation. And unfortunately for you and me and anyone else wanting to participate in zip-lining, skiing, paragliding, sky diving and other fun activities where we rely on the operators to keep us safe, that legislation has still not been enacted. It is nonsense that the operator of such a business can require you to waive your right to sue for a failure to do what they’re being paid to do. There’s another, more serious, problem with waivers: what incentive is there to look after our safety if there is no legal recourse for the failure to do so? Please talk to your MLA about following the recommendations made by the Law Reform Commission almost 25 years ago. In the meantime, know when you sign waivers that you are signing away your right to recover fair, financial compensation for your injuries and losses even if those injuries and losses were caused by negligence.